Fox Sales and Lettings is a dedicated team working entirely focussed on providing an outstanding service to both Landlords and Tenants. The lettings department adopts the same friendly professional ethos the established estate agency business is well known for. Our aim is to provide an unrivalled service for both landlords and tenant. We will endeavour to maximise the return on our client’s investments whilst also expertly matching tenants to the appropriate properties, so they treat them as their own. The issues and legislation affecting let properties are complex and onerous. We provide all the advice and support that our clients need so they can rest safe in the knowledge that their property is in the best possible hands. We act as a buffer between landlord and tenant to ensure the letting process runs in an efficient and dynamic manner. If there are problems we are there to help resolve them.  Fox Sales and Lettings operate throughout Leicestershire and the neighbouring counties and are one of the few agents that focus almost entirely on the village and country market. In recent years there has been considerable bad publicity about Lettings Agents. Our clients have the re-assurance that Fox Sales and Lettings are regulated by the Royal Institute of Chartered Surveyors are members of the Property Ombudsman Scheme. The services we offer are flexible and can be tailored to meet the individual requirements of each client. How do I decide what service is right for me? One decision you need to make early on is who will be dealing with your tenant and managing your property on a day-to-day basis. You have two options: your agent can look after everything for you, or you can take on the responsibility yourself. Whichever route you choose, your tenant will expect a professional and prompt service, and for someone to be on call 24/7 for emergencies. Asking your agent to manage the property has a number of advantages. It keeps the relationship with your tenant at arm’s length and allows you to avoid the stress and hassle of dealing with midnight calls about burst pipes. You also have the reassurance of knowing that your property is being looked after by a professional team and maintained by their network of trusted contractors. Research shows that tenants tend to stay longer in managed properties, too. If you are considering managing your property yourself there are a few points that may be worth thinking about. Are you prepared to be called at any time of the day or night by your tenant? Will you be able to establish a professional relationship with your tenant and deliver the high level of attentive service they expect? Do you have the flexibility to visit the property promptly when problems arise? Do you have a good network of local contractors able to carry out maintenance work? Do you have enough time to dedicate to your tenant? If you are in any doubt as to whether you can meet these demands then it might be worthwhile opting for our full management service. Once we have let your property, if you opt for our full management service we will manage the whole process for you. We will undertake regular inspections to ensure your house is being treated with the care and respect you would expect. We will act as a buffer between landlord and tenant, liaising with both parties and maintenance contractors to ensure any work required is carried out in a swift and efficient manner. Working alongside our established estate agency business provides us with the ability and springboard to promote your property and generate as much exposure and interest as possible. The advertising of your property is of the upmost importance and will be done in such a manner so as to match the appropriate tenant to the appropriate property. Properties will be marketed in several different ways. Unlike most other agents we will produce detailed bespoke brochures showing your property at its best. It is important to give prospective tenants a clear insight into their possible new home. You will receive one of our distinctive “To Let” boards outside your property. The property will be advertised in our prominent office windows. Your property, where appropriate will feature in our regular local newspaper adverts. We recognise the importance of the web and have made a significant investment in the latest internet technology. Fox Sales and Lettings is now on Facebook, the largest and most widely used social networking site with half the internet users in the UK subscribing. property comes onto the market we can inform prospective tenants by e-mail or text. Properties are very individual and so are the objectives of the landlord. The advice we offer to our clients is tailored to their specific needs and is rarely the same from client to client. However, we have put together some general points for prospective landlords. This is completely down to the personal preference of the landlord. The general rule is that unfurnished properties are slightly easier to let. It enables tenants to move their own furniture into the property and make it their home. From a landlord’s prospective there is also reduced risk of their belongings being damaged during the tenancy. During marketing, make sure you or your agent keeps the property looking its best. First impressions are so important so keeping your property clean and tidy can make a huge difference. Don't let junk mail build up on the doorstep, or let the house or garden deteriorate in any way. During winter months it is crucial that your property is warm and well lit. Tenants are often attracted by a neutral and modern interior finish, so try to cater to the contemporary tastes of today's tenants. Most tenants like properties to be ready to move into and require minimal to no work. If the property is being let furnished then uncomplicated furnishings will make a property look more spacious and appeal to a wider audience. In the case of family houses, the ideal time to launch is from spring to early summer, because many families wish to be settled before the new school year in September. Make sure your agent clearly understands your wishes. For example you may want a particular type of tenant; one without children or pets for instance. You may want a tenant who will offer you the highest rent or you may simply be interested in people who will be good neighbours and will treat your property as their own. Make sure that you receive several valuations and that your agent has a good track record for the type of property you own. If choosing more than one agent, ensure that they don't put a 'board jungle' outside your property. Here at Country Properties we aim to provide an unrivalled level of attention to detail and service. We strongly believe that our unique position as “The Village and Country Letting Agents” provides us with the platform to match appropriate tenants to their perfect properties and give our landlords the maximum return on their investments.